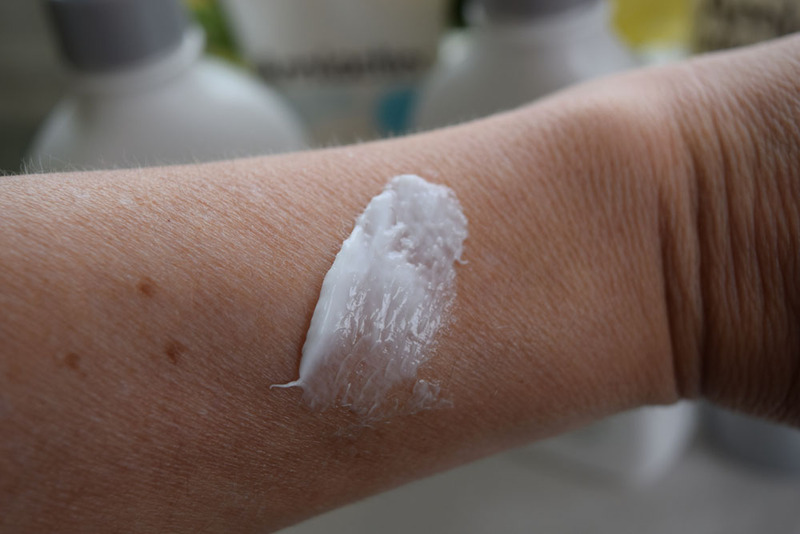 Disclosure: This is a sponsored conversation written by me on behalf of AmLactin Skin Care. The opinions and text are my own. It has been a rough winter. Rough as in I have a lot of dry rough spots on my legs and I also have pretty beat up feet from my winter marathon training, which always seems harder on them in winter than in summer. With spring coming, I don’t want to have to hide my legs and feet! A great solution for smoothing up those rough areas are the products from AmLactin. I have been using these products for a few weeks now and love them! Pretty much everyone has a few rough spots. You know… those extra dry spots or rougher areas. Maybe it is on your arms, or legs, or knees, or elbows. There usually is something. Winter makes them worse because the air is drier, and it is easy for skin to get irritated by the cold air. Then, don’t get me started on feet! A winter season wearing boots can lead to dry skin, especially on the heels. As a runner, I also am always focusing on my feet. So, what to do? Start using products to smooth up those dry skin areas! An ideal regime will focus on both exfoliating the dry dead skin and also moisturizing and soothing the new skin underneath. Products like AmLactin do both, which is why I like them so much. 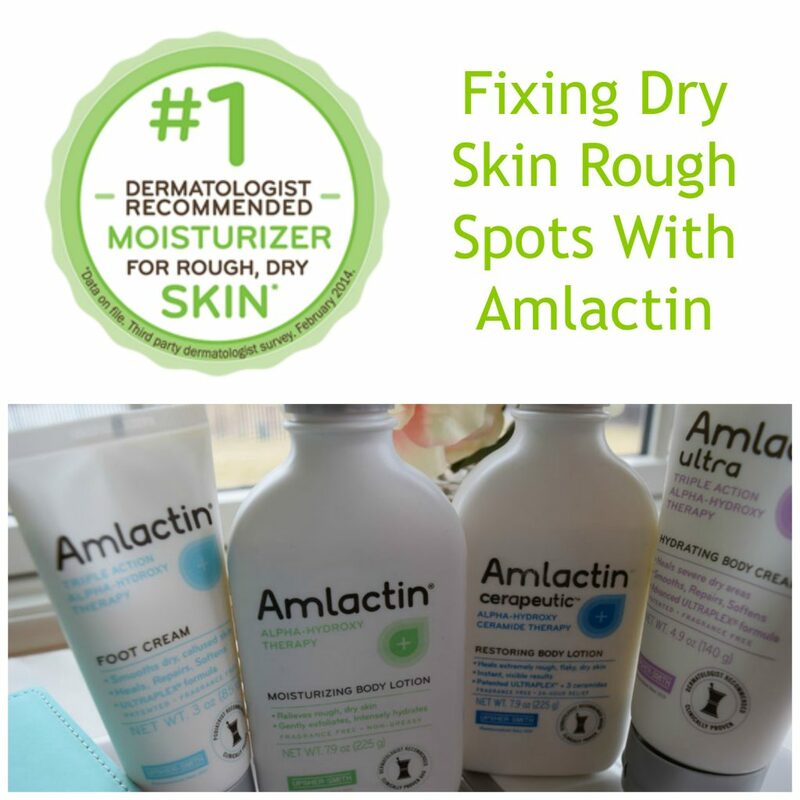 AmLactin moisturizers are very effective at transforming those dry, rough trouble spots into soft and smooth skin. The products contain alpha-hydroxy therapy, which works to gently exfoliate dry, dead skin cells. Meanwhile, emollients and rich humectants help retain the skin’s natural moisture. The products are dermatologist recommended and fragrance free (something of importance to me). These products can tackle the most serious of rough spots. Here is a look at the products and my experiences with them. 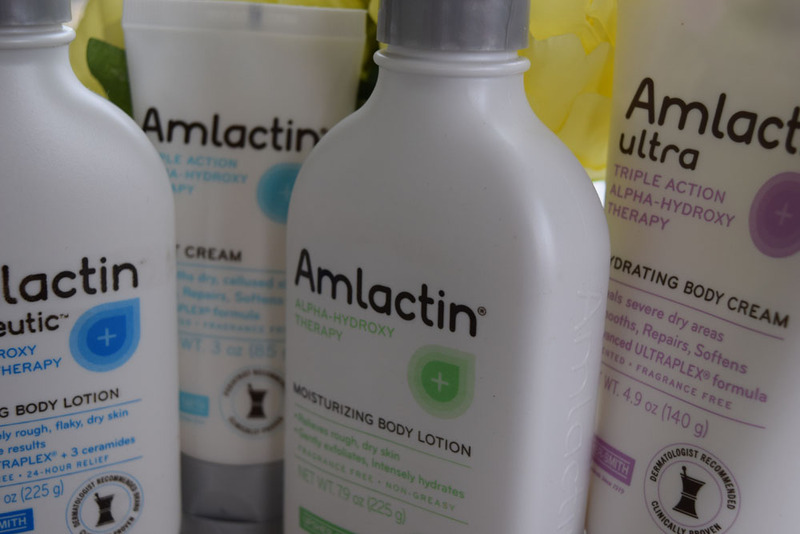 AmLactin® Moisturizing Body Lotion: This is my favorite of the products because of its great exfoliating capabilities using powerful alpha-hydroxy therapy. It contains clinically proven 12% lactic acid that is pH-balanced for the skin. This boosts the skin’s natural renewal process through gentle exfoliation. It also deeply moisturizes. Ultimately, this combination reveals softer, smoother skin. I use this lotion every night, not just on my rough spots, but on my legs and feet in general, to help prevent new rough spots from forming. I ran in shorts for the first time this season yesterday and my legs looked great! No scaly rough sports to be seen! Needless to say, that left me feeling quite happy. I’m actually looking forward to wearing spring dresses now. 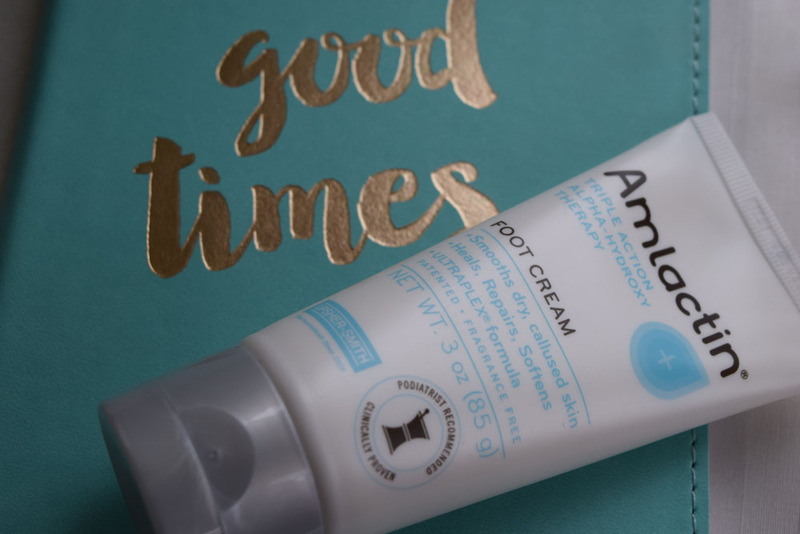 AmLactin® Foot Cream: This is my favorite foot product. It is a daily use healing foot therapy with a patented ULTRAPLEX® formula that gently exfoliates and is clinically proven to intensely hydrate. This is great for working on dry cracked areas and calluses. Needless to say, I have plenty of both from running. With distance running, calluses are always forming, but you also want to try to keep the feet smooth to prevent blisters and hot spots from the shoes. So, I put a lot of work into my feet. I like to put this product on at night, concentrating on problem areas, and then put some socks on over them for bedtime. That really helps the product go to work. I’m looking forward to having smooth feet for my upcoming races and for sandal season! AmLactin® Cerapeutic™ Restoring Body Lotion: This is a nice all around body lotion that I like to use in the mornings after my shower. It is the only formula to combine the clinically proven, patented ULTRAPLEX® formula and three essential ceramides to relieve extreme dryness for 24 hours. Although I use some products at night, these product all work great if applied after showering while the skin is still wet. Simply pat the skin dry, then apply to help lock in moisture. Because AmLactin products contain an alpha-hydroxy acid (AHA), it may increase your skin’s sensitivity to sunburn. Be sure to use sunscreen, wear protective clothing, and limit sun exposure while using these products and for a week afterward. Really, you should always wear sunscreen anyway! The products may cause stinging if used after shaving and if applied to cuts. Stinging should go away, but discontinue use if it does not. Amlactin products are not intended for use on the face. Enter to Win $100 Worth of Amlactin Products! Would you like to try AmLactin Skin Care for FREE? Follow these steps to enter my Soft Skin Giveaway: Before 12am on March 25, 2016, in the comments section below, tell me about your dry skin problem areas AND tell me which product you’d most like to try. On March 25, 2016, I will randomly pick 1 commenter to win $100 worth of AmLactin products! *Giveaway is open to United States residents only. Void where Prohibited. Products shipped by AmLactin.